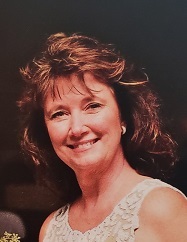 Jean M. Giese, 66, of Janesville, passed away peacefully in her home on Saturday, January 12, 2019. She was born on January 14, 1952, in Janesville, Wisconsin, the daughter of Donald and Mary (Keegan) Quade. She was a graduate of Parker High School in 1970. After graduating from high school, Jean married Larry W. Hanson on June 20, 1970 at First Lutheran Church. They had three sons, Troy, Brad and Tim. Together, they purchased their dream farm and had horses, which Jean absolutely loved. Larry preceded her in death on April 3, 2003. She married Wayne E. Giese on October 19, 2007 in Janesville. Jean and Wayne enjoyed their trips to the casino, card games with friends and traveling. Jean worked at Accudyne/ATK for 10 years and retired from Grainger in 2014. Although, Jean will be remembered for many things, her warm, welcoming smile will remain in our hearts forever. Above all, Jean cherished and adored everyone in her family, loved spending time with them and always made sure to tell them she loved them to the moon and back. Lovingly survived by her husband, Wayne; sons, Troy (Sue) Hanson, Brad (Jill) Hanson and Tim (Ashley) Hanson; step children, Daniel (Tara) Giese, Shelly (Brian) Nelson and Dale (Bridgette) Bladorn; grandchildren, Samantha, Tiffany (Dominic), Brady, Emily, Ben, Karlie, Kassy, Sam, Madilyn, Dylan, Tanner, Colbie, Morgan and Cashton; great-grandchildren, Keelan and Dawson; siblings, Donna (Pat Ford) Ulset, Deb (Don) Lawson and Kim (Carl Calkins) Quade; sister-in-law, Velma Quade; numerous nieces, nephews, cousins, in-laws and their families and her faithful canine companion, Joey. Also preceded in death by her parents, Donald and Mary; siblings, Steve, Chuck, Tommy and Kathy and canine companion, Lukey. Memorial visitation will be from 4:00 p.m. to 7:00 p.m. on Friday, January 18, 2019 at St. Paul’s Evangelical Lutheran Church, 210 S. Ringold Street. Affordable Cremation and Funeral Service of Belvidere assisted the family. Please visit affordablecremationbelvidere.com to leave condolences for the family.